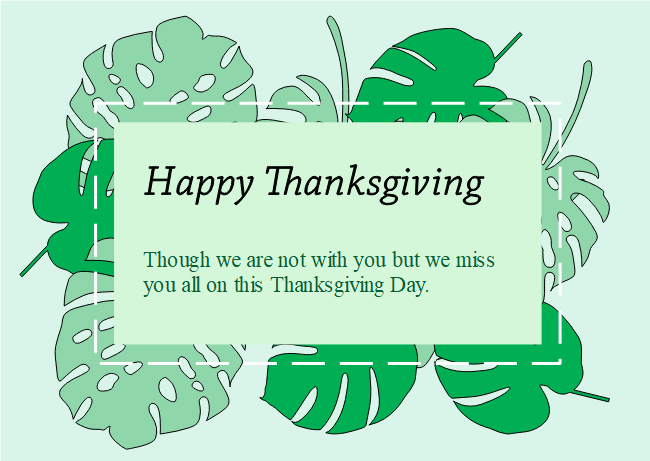 Description: The green leaves Thanks Giving card template is in a simple, fresh and modern style. The green background and leaves give the design a feminine touch. Write down your greetings in the center to send your word and thanks for their love and support.